Gold just turned out its best annual return – a whopping 12% gain – since 2010. Can gold do it again in 2018? You bet. 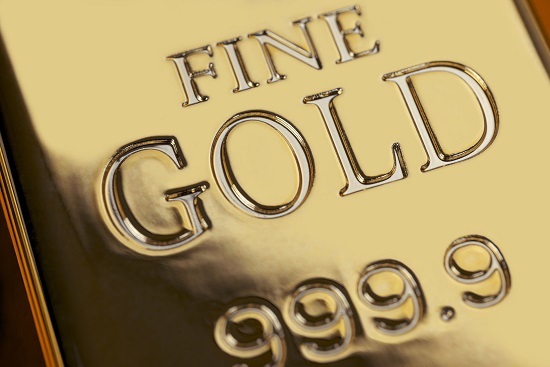 Here's 4 reasons that gold can continue to rally in the coming year. When stocks are going up, it's easy to forget that the market does go down. There's bull market cycles (when stocks are rising) and bear market cycles (when stocks are falling). The current bull market phase began in March 2009 and will soon hit its 9th birthday. For bull markets – that's old. or a Bear Market (declines of 20% or more). Gold is an excellent portfolio diversifier and has virtually no correlation to the stock market. In fact, historically, down cycles in the stock market have seen significant gains in gold prices. While the deficit is not something you probably think about, well maybe not even ever – it is an issue for financial markets. There's that old saying – and at some point the Piper will demand payment. The U.S. National Debt recently topped an eye-popping $20.6 trillion and rising. Former Federal Reserve Chair Janet Yellen recently warned that the $20 trillion national debt "should keep people awake at night." The recent Tax Bill passed by Congress slashed taxes by $1.5 trillion on corporations and individual Americans. Going forward, that is likely to make the deficit worse, not better. "Solving the nation's fiscal challenges was difficult before the tax bill was enacted, and it has only gotten even more challenging. Returning to historic averages of revenue will not be sufficient, given that historic levels of revenue have led to our current fiscal problems and will be insufficient to cover the costs of an aging population," says the non-partisan Committee for a Responsible Federal Budget. The U.S. dollar is falling in value and the nation's debt load is rising. Gold becomes even more valuable as that scenario continues to unfold. Gold is a currency without a nation – and that means there are no "debts" attached to the physical metal (unlike the $20.6 trillion debt attached to paper money). One of the biggest investment stories of 2017 was the massive price increase in cryptocurrency bitcoin. There are similarities between bitcoin and gold. A key factor that has attracted interest in bitcoin is that it is a form of money outside the control of any authority or government in the world. Gold, of course, is too. "Bitcoin is paving the way for the reintroduction of gold as global money," said fund manager, Ned Naylor-Leyland in a recent Bloomberg interview. Read more on why the pros and cons of investing in bitcoin here (Investing in Bitcoin, part 1 and Investing in Bitcoin, part 2). The appetite for bitcoin as an investment is also fueling fresh demand for physical gold. Inflation, what's that? According to official economic data, inflation has been low, extremely low for years now. Barron's just published a new piece on inflation and warned: "We expect to see inflation go up in 2018 across developed markets relative to where it is today with the United States leading the way." Barron's pointed to repricing of cell phone plans, higher car prices, the recent Congressional tax cut package, and a weaker U.S. dollar as factors that are pushing the overall level of prices higher. Gold is a traditional inflation hedge and once higher official government readings of inflation emerge, investors will stampede into precious metals in order to hedge their assets. Rare coins are an even better hedge against inflation than gold. If you want to lock in an insurance policy for your assets now, diversifying into rare coins offers the potential for out-sized gains. Download an exclusive report from researchers at Penn State University to learn more. The results suggest that over the longer run including rare U.S. coins within an existing portfolio could improve investment performance. Don't delay, economists warn the cycle is at a tipping point and once the inflation numbers come out higher, gold prices will surge – probably significantly.